What is it like to work at Woking? The Woking camp is situated in the very spacious grounds of Gordons School. This means that we have access to a whole host of facilities, including vast indoor and outdoor space for lots of fun activities to take place! 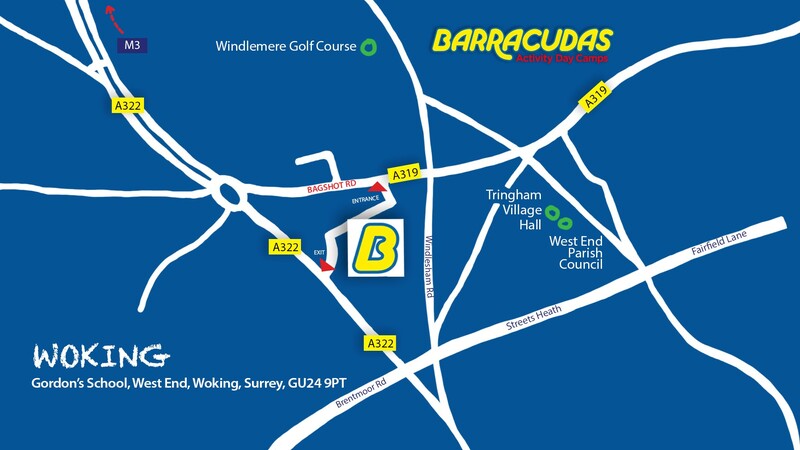 As a location, the camp at Woking is only a short drive from Woking itself and is very close to the train station, which provides trains to London and many other areas. Please Note: This camp is also close to our Cobham and Ripley camps, so if the role you’re looking for isn’t available, be sure to check those camps out too!